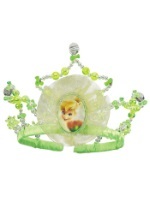 Dance your heart out as your favorite Disney character in these Tinker Bell Slippers. 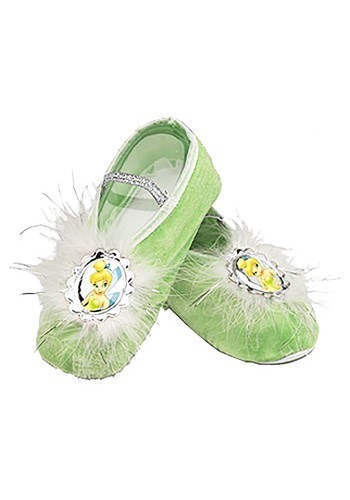 These green shoes feature a silver character cameo on the toes that is surrounded by white feathers. A silver strap crosses over the foot to secure the shoe in place. The bottom has grips to provide easy walking. 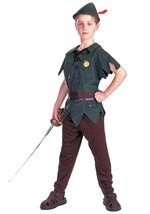 Slip into shoes with our Tinker Bell ballerina costume and put on a show this Halloween.